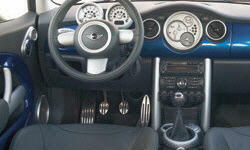 Mini Hardtop Front Seat Support & Comfort Pros and Cons | Page 1 of 1 | Why Not This Car? What drives people to buy (or not buy) a certain car? TrueDelta's members share Mini Hardtop pros and cons based on their real-world driving experiences. Few seats fit everyone well. For me, the "sport seats" in the Abarth were short on both lateral and lower back support. The seatback reclines in steps, and none of the detents was quite right. Try to relax, and you'll find that the headrests are hard and uncomfortably shaped. Smallish seats made the front feel kinda cheap. The middle armrest was also a very hard plastic, but the door was slightly softer plastic. I am 6 foot 1" with more than enough leg and head room ( adjustable seat height ). 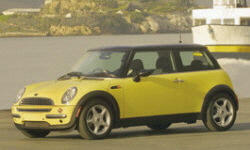 See TrueDelta's information for all Mini models.